Belmond Maroma Resort & Spa sits right in the middle of the jungle in Riviera Maya, Mexico. It would be easy to call it paradise; many have. You’ll arrive at its gates along Carretera Cancún-Tulum and your driver may very well offer the assurance that he’ll deliver you “to reception in about seven minutes” as did mine. And along the shrouded dirt path you may linger on his estimate for a short time as your attention wanders to the scene of fanlike foliage and palms by the multitude. A sea of greens; you’ll feel like every few feet is cause for a photo capturing the view. It’s good and you haven’t even gotten there yet. And so it goes. 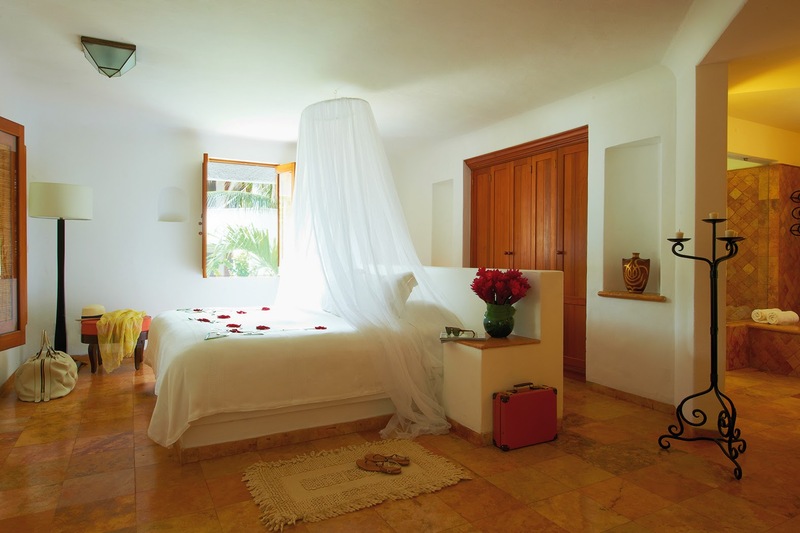 Maroma is a place of quiet levels … layers of unrelenting luxury. Set on the powdery white sanded shores of Mexico’s Yucatán peninsula amid 25-acres of preserved jungle, the space to stretch is certain. The resort is a coterie of just 63 rooms and suites, two restaurants — El Restaurante and El Sol Tapas & Restaurant — two bars, a fitness center, Kinan Spa and three pools — one for adults only. Nature is key to understanding this escape. Seven days at Maroma (the length many guests opt for at its busiest time in December) means accepting a different view of time and space. Bit by bit, what you brought in with you slips away — some of it by choice, much of it by instinct. Waking with the sunrise, alone, will have that effect. You could steal away to the resort for just that or plan your trip around a themed package. Characteristically serene, Belmond Maroma Resort & Spa this summer introduced a one-of-a-kind experience with a “Food, Fashion and Fitness Weekend.” Authentic Mexican cuisine, style and fitness were the central focus for three days, as guests who booked the package enjoyed special access to renowned fashion designer Rubin Singer; Zack Schares, a high performance fitness instructor and personal trainer; and accomplished chef Juan Pablo Loza, whose extensive expertise in the cuisine of Mexico, blends a passion for traditional and local flavors with a desire to preserve the rich traditions of Mexican culture. 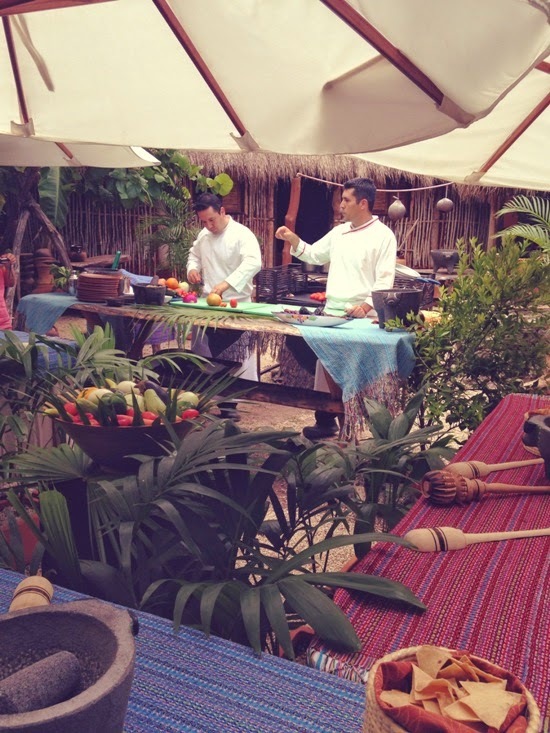 The culinary slice of the wrap up included a chef’s table dinner on the beach after sunset (one selection featured grilled octopus with salsa, tamatillo, tomato, mint and local citrus), an open-air organic cooking class in the resort’s Mayan Village, and culminated with an intimate dinner with Loza, Singer and other invited guests. The gathering was an eccentric blend of flavors and fabrics as haute couture designer Singer, a third-generation couturier and creator of Beyonce’s bespoke piece for the 2013 Super Bowl, shared samples of his work, and colorful conversation about his rise within the fashion world. One course, Loza’s “Maroma” Bouillabaisse — seafood, fish and lobster with habanero chile, and the story of Singer’s grandfather, for whom he is named, a Polish Jew who defected to Russia. The elder Singer became one of the most celebrated designers in the Soviet Union. Superb; All of it. Fitness enthusiasts indulged in morning boot camps, aqua aerobics, a jungle obstacle course and finale triathlon on property as well as the option of one-on-one sessions with Schares who effortlessly produces personal workouts for clients. An encore offering is already in the works for 2015. 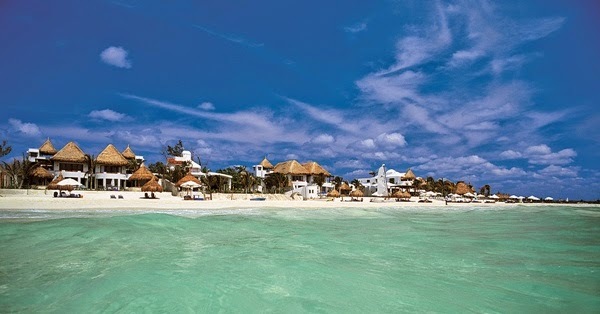 But if relaxation is your priority — Maroma’s beach is itself enough. It is customary to see fellow guests choose a spot at sun-up and wind the day away — naps and meals with the ocean breeze. 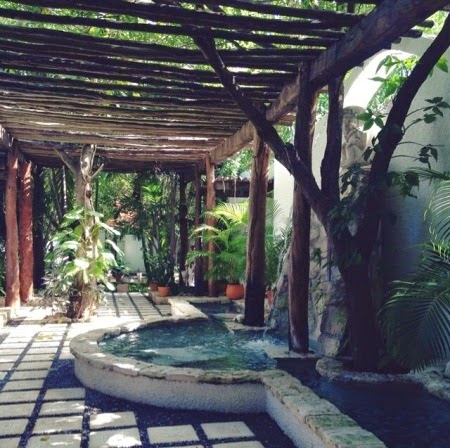 Nestled in seclusion, Kinan Spa situates you in the midst of your vegetative surroundings — a sanctuary of treatment rooms with private gardens, open-air massage palapas and rooftop yoga as generational Mayan methods for healing was the basis for the spa’s repertoire of services. At Kinan Spa, rituals and treatments based on herbs and plants grown in its garden or pure organic products aid in the relaxation and detoxification of body and soul. Rates start at $395 in the low season and $695 in the high season at Belmond Maroma Resort & Spa. Resort images courtesy of Belmond.